With cloudy skies and a chill in the air, the weather was perfect for my planned outing with a group of friends last weekend, to visit the inland town of Coin´s weekly Sunday morning markets. 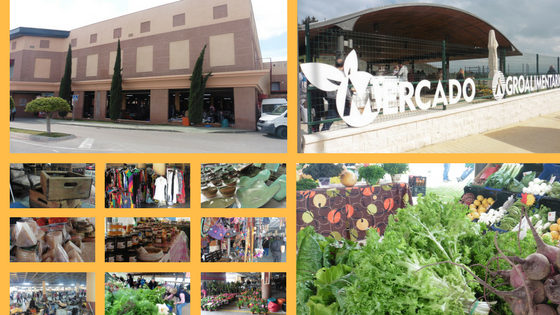 Held in the grounds of La Trocha Industrial Estate, there are three separate market areas: an outdoor farmer’s market, a small artisan produce and crafts market and the enormous covered flea market, held in the car park beneath the La Trocha shopping centre building. Driving along the inland roads above Marbella to reach Coín, there was a magical moment when the landscape changed from winding mountain roads, to Coin’s vast valley landscapes of ploughed fields and open skies with the sierras etched out softly in the background, swathed in a light morning mist. Winding down the car window, I sniffed in the delicious smell of damp rich earth. The Valley of Guadalhorce in which Coín lies, is renowned for its fertile agricultural land and is referred to locally as “La Despensa de Malaga” – Malaga’s pantry. Categories: Flea Markets, Local culture & Traditions, Organic Farmer's Markets, Places to eat, Places to shop, Whitewashed villages | Tags: Coín Sunday Markets, Flea Markets in Málaga province | Permalink.